UK retail bank Halifax reports that two-thirds of its internet banking customers are now using mobile devices to log-in, doubling the number of mobile banking sessions compared to a year ago. 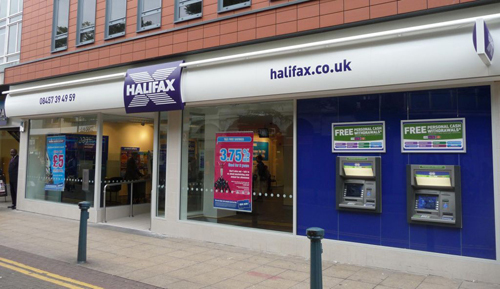 Newly-released figures for March indicate that Halifax customers logged on to their bank account almost 40 million times using their mobile phone in March, compared to around 20 million in the same month in 2014. According to the bank, the doubling of individual logons recorded signals that mobile banking is fast becoming the channel of convenience for many. “Since launching our new mobile app last summer we have seen huge growth in the number of customers logging on via a mobile, so much so it is now clearly the most popular choice for active digital users, and shows a shift in the way people are choosing to do their banking,” said Anita Hockin, head of digital for Halifax. Overall, almost two thirds (64.6%) of all online banking logons are now being carried out via a mobile phone, compared to 26.4% for a desktop and 9% for a tablet. Additionally, a fifth (21%) of active online banking customers have solely used their mobile for all their banking needs in the past three months. Slightly more than half (54.6%) of all active Halifax current account customers are now also actively using online banking, with just under a fifth (17%) of these solely using internet banking to manage all their banking needs in Q1 2015. A new monthly index that measures UK current account switching has been launched by research firm TNS, providing a snapshot of changing consumer behaviour as the UK Payments Council's switching service begins to take effect. Problems for Halifax, Lloyds, Bank of Scotland and Monzo. Saturday not so sweet for Lloyds, TSB, Halifax and Bank of Scotland. Santander, Nationwide and Halifax have gained the most from the UK’s account switching service, while traditional banking names Barclays, HSBC Lloyds & TSB and NatWest have lost out, according to new figures released by advisory firm TNS.